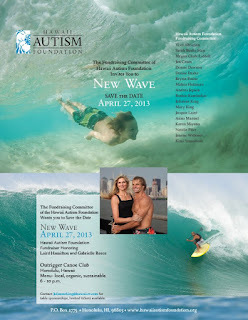 Flier announcing "New Wave", our inaugural fundraiser...it was a huge success! Last week I wrote about the disappointing outcome of our autism health insurance reform bill. Friday was a glum day, but Saturday evening made up for that. 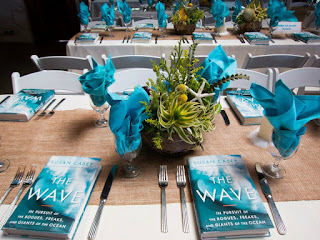 A cause near and dear to my heart, the Hawaii Autism Foundation held its first annual fundraiser on Saturday night. 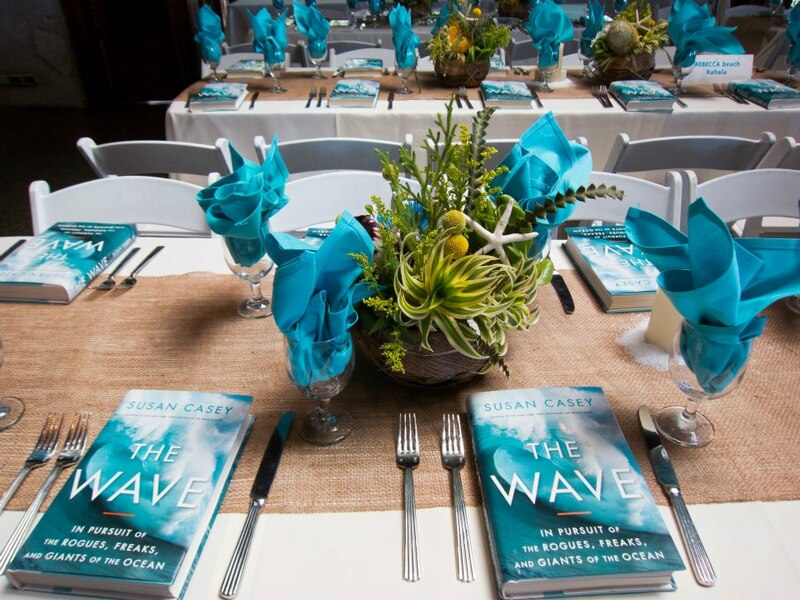 The event was called New Wave and we honored world-class surfer Laird Hamilton and his wife, Gabrielle Reece—also no slouch as an athlete, Gabby was an Olympic volleyball player and a model. 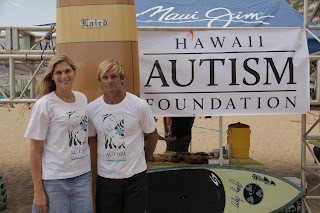 Gabby and Laird...autism heroes. 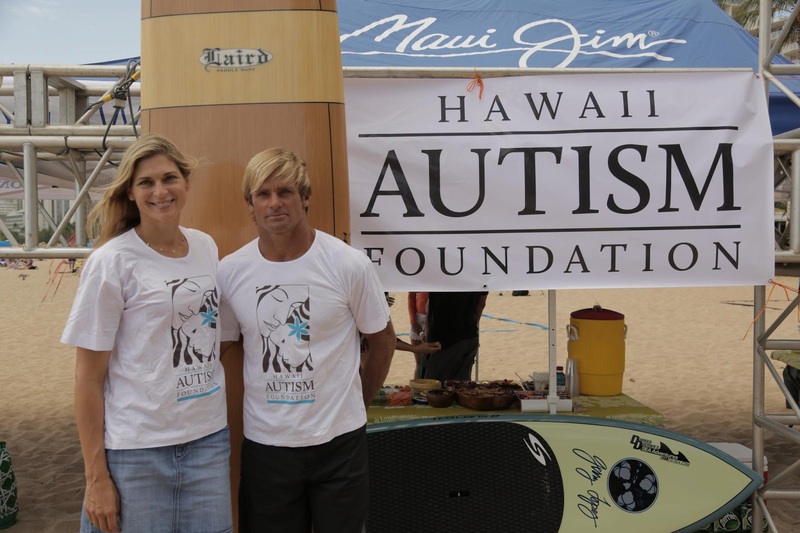 Laird did a "Paddle - Peddle", biking across each island, then paddling on to the next one across the Hawaiian Island chain to raise awareness and money for autism! 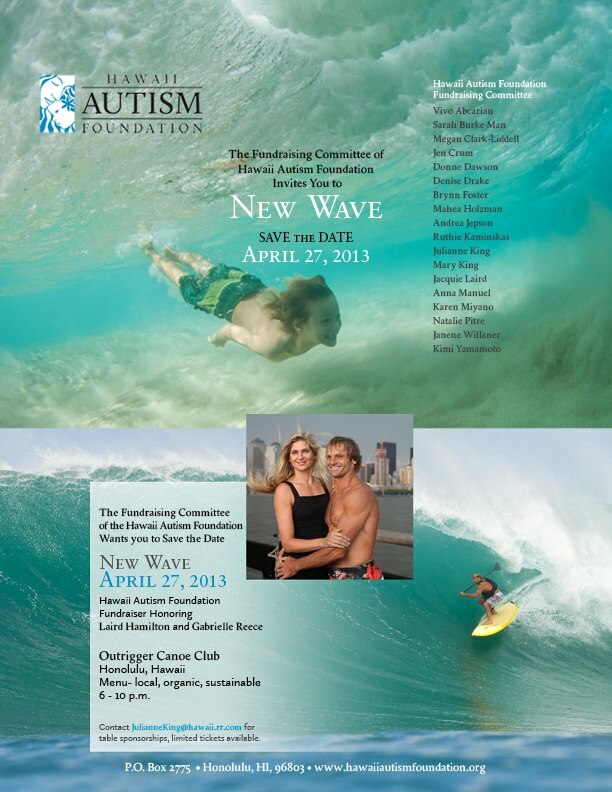 I’m sure most of you are not familiar with Hawaii Autism Foundation (HAF). HAF was founded by Don and Julianne King in 2007 after their son, Beau was diagnosed with autism. Don and Julianne are two of the most giving people I’ve ever met, and they wanted families in Hawaii to have access to the kinds of treatments and medical specialists they were using to treat Beau. Don and Julianne King...caring and giving people who I'm proud to know. 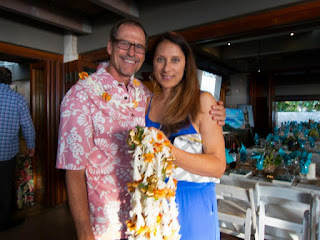 So with that as a guide, their foundation was born…I am pleased to serve as Vice President of the HAF Board because it is such a worthy cause, and one that I believe in deeply. All kids with autism need access to treatment, and even on the Mainland there are not nearly enough doctors who understand autism, much less know how to treat it. But Hawaii, with its geographic isolation has a unique problem. HAF’s mission is to find and fund treatments for autism spectrum disorders, as well as to educate families dealing with autism about the disorder. Too many families are told there is no hope when their children are diagnosed with autism—we know better. We bring specialists to the islands to treat our children and provide scholarships to needy families so they can access treatment. We are standing up a Care-for-the-Caregiver program in conjunction with the YMCA, which will allow parents to exercise while their children are given swimming lessons by instructors trained to work with autistic kids. 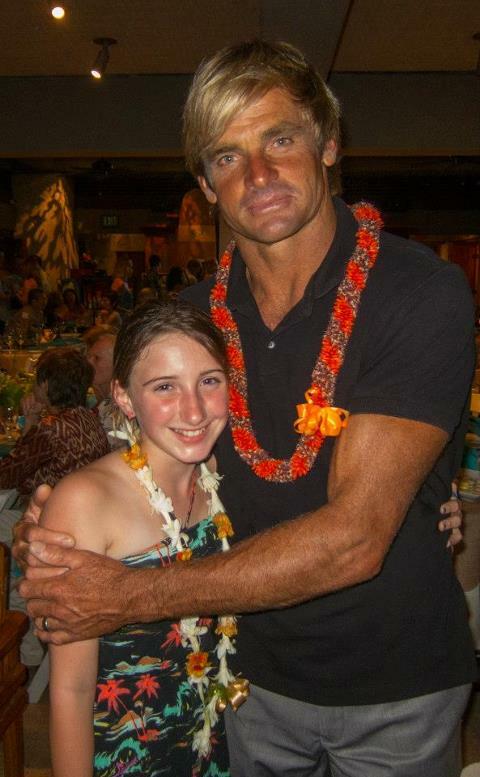 Meghan gave an incredible speech...so proud of her, here with Laird Hamilton. Our next goal is to build a center here on Oahu to serve autistic children in the Hawaiian and Pacific islands. It’s a lofty goal, but we’ll get there. And a special thanks to everyone who helped make our inaugural fundraiser a success! Thanks to our many supporters, we raised a lot of money for autism!